Being located close to Boston's Chinatown while we were staying at the Hyatt Regency, it meant cheap breakfast! 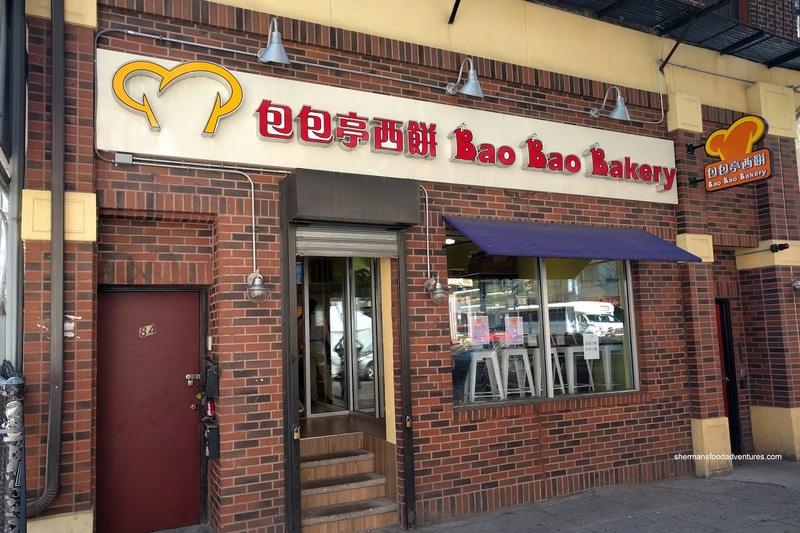 For those who know, I'm referring to Chinese Bakery staples such as BBQ Pork Buns, Pineapple Buns and the sort. Rather than spending $3.00 at McD's for a breakfast sammie or splurging on a gourmet one at Mike & Patty's for $4.50+, one can dine for $1.00. Sure, it really isn't a one-to-one comparison, but hey, it does the job! 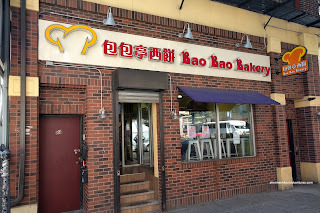 Hence, Costanza and I took the short stroll down to Bao Bao Bakery for some cheap eats. We didn't have high expectations since we hail from Vancouver, which boasts some of the best Chinese eats around. However, the buns from Bao Bao were actually quite serviceable. 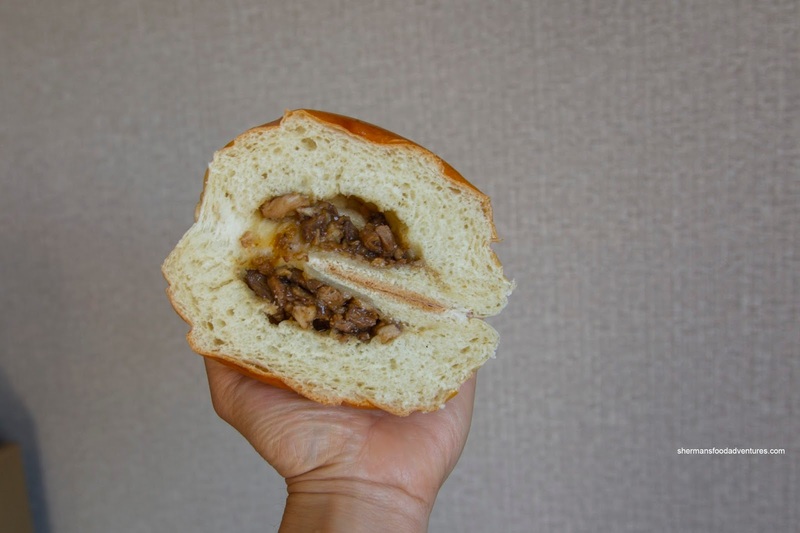 Starting with the BBQ Pork Bun, it was substantial in size and the bun itself was not dry, yet a little dense. It did have a touch of rebound to it though. There was very little in the way of filling which was lean and more savory than sweet. 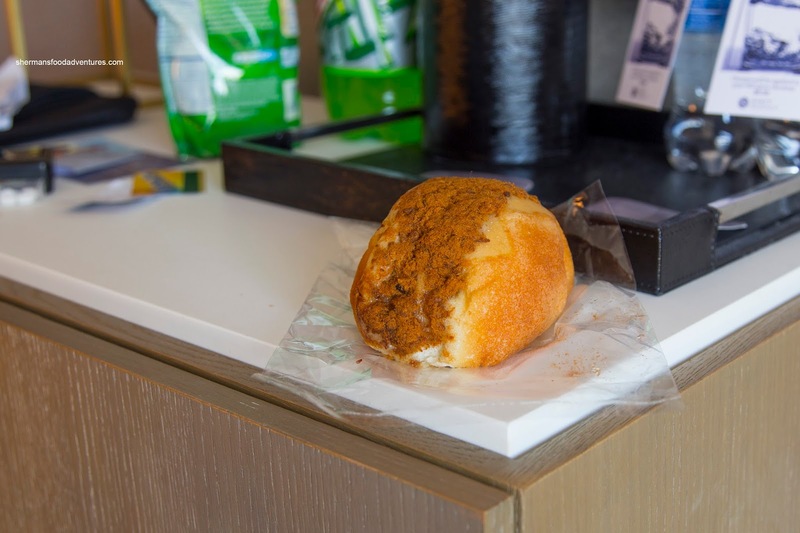 I ended up getting the Dried Pork Floss Bun which was actually quite good. I got the crispy version which was the case on the outside. The same dense bun was somewhat softened up by the sweet mayo concoction while the amount of pork floss added a balanced saltiness. 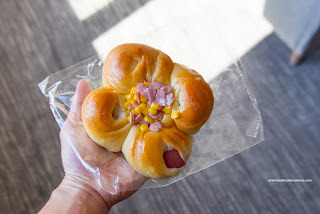 At first, I was not too anxious to pick up the Wiener Bun with corn, but it turned out to be okay. The dough density was actually lighter due to the shape of the bun. Each petal on the design featured a large section of meaty wiener (which seemed to be beef). In the middle, there was a mayo corn mix that made things a bit wet and sweet. 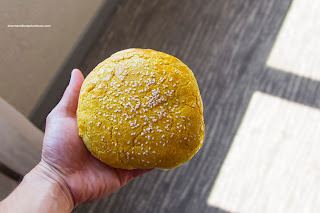 On the topic of sweet, the Pineapple Custard Bun was as heavy as a brick. This was due in part to the same bun density as well as a sweet custard filling and substantial sugary topping. This was a sweet bun for sure and was rather cumbersome to eat. 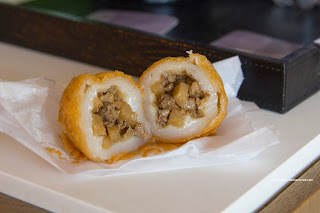 Lastly, I decided to add a Deep Fried Glutinous Dumpling for kicks. Costanza wanted to avoid it since it tends to be pretty greasy. Yep and so it was as the napkin I was using to hold it became soaked with oil. I still enjoyed it though as the exterior was crispy while the layer of glutinous rice flour was somewhat thick. At the same time, it didn't eat heavy where the filling was a combination of ground pork and water-chestnuts. Okay, there were some shortcomings especially with the bun density, but for the price, these were some pretty solid buns (sorry for the pun).